﻿ Jungle Jim's International Market - Ohio. Find It Here. 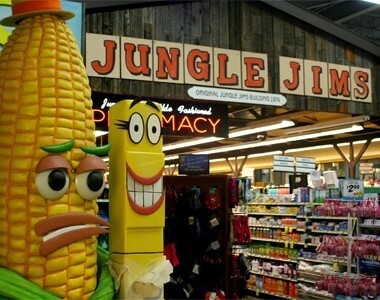 Jungle Jim's in Fairfield, Ohio is a foodie paradise with 6.5 acres of food all under one roof! Jungle Jim's features an impressive selection of international goods. Shop more than 150,000 items from more than 70 countries across the world.You can load your cart with:- Exotic spices- 150 Olive Oils- 1,200 Hot Sauces- Exotic game- 15,000 Wines- 4,000 Beersand believe it or not...so much more!Throughout the year Jungle Jim's hosts Jungle Fest events, so be sure to check out the events calendar. On your visit look up, down and all around you never know what eclectic decoration or food item you'll run into next. 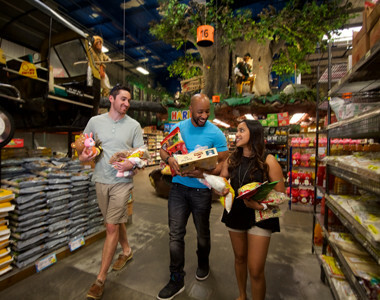 Visit Jungle Jim's in Fairfield, Ohio for a wild adventure you won't soon forget!